What does a smartphone have in common with a smart TV, a smart refrigerator, smart toaster or any other supposedly ‘clever’ piece of technology? Ah, I’ve already mentioned tech, that’s left you stumped hasn’t it! But it shouldn’t as the answer is amazingly simple: none of them are smart. Or, to put it another way, “smart means exploitable” (quote ruthlessly stolen from Rik Ferguson). And if you need any evidence of that, you need look no further than an episode of Panorama (iPlayer link, may not work outside of the UK without a VPN) aired by the BBC this week. Famed for blowing the lid on mass surveillance by the US National Security Agency, Snowden said the UK’s subsidiary – GCHQ – could gain “total control” over a smartphone and that there was “very little” the user could do to prevent that. During the interview he went on to explain how GCHQ could gain access to a device by sending it an encrypted text message – that the user would almost certainly never be aware of – and then leverage a number of surveillance tools known as ‘Smurfs’ to engage in all manner of privacy-invading shenanigans. 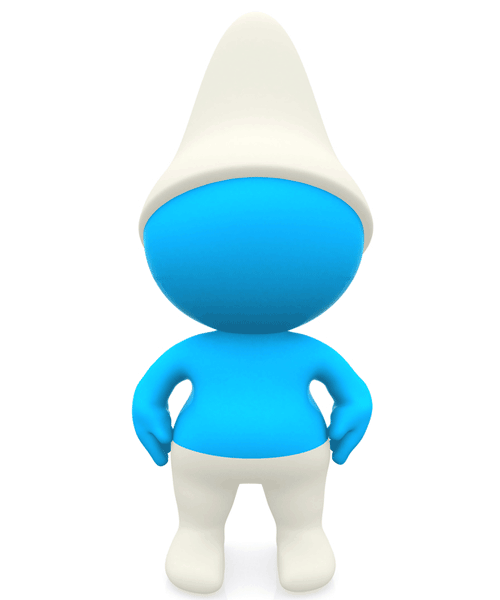 Paranoid Smurf is a self-defence mechanism, designed to hide the other Smurfs from view, by masking the manipulation by the secret services and making it incredibly difficult for a typical service centre to ever realise that anything was ever amiss with the device. Taken together, Snowden explained that the full range of tools allows GCHQ to monitor “who you call, what you’ve texted, the things you’ve browsed, the list of your contacts, the places you’ve been [and] the wireless networks that your phone is associated with. And they can do much more. They can photograph you”. Now many readers may be thinking so what – they don’t do anything illegal and GCHQ are never going to be interested in them or their mundane lives. And that’s certainly true, for now at least. But, as Snowden says, to collect information on suspected terrorists, paedophiles and other criminals, the security services need to collect massive amounts of indiscriminate data in order to identify their associates and targets – and that desire and thirst for data is only likely to increase in the future. So, while I do recognise the need to keep us safe from the bad guys, I do wonder what a future government may do with all the information it has about me, you, and our children. That’s why I call this program a gross invasion of privacy, facilitated by the exploitation of smartphones. “It is long-standing policy that we do not comment on intelligence matters. All of GCHQ’s work is carried out in accordance with a strict legal and policy framework, which ensures that our activities are authorised, necessary and proportionate, and that there is rigorous oversight, including from the secretary of state, the interception and intelligence services commissioners and the Parliamentary Intelligence and Security Committee. All our operational processes rigorously support this position”.